A carbon fibre pen that you won't want to put down. Lightweight, strong and sophisticated. 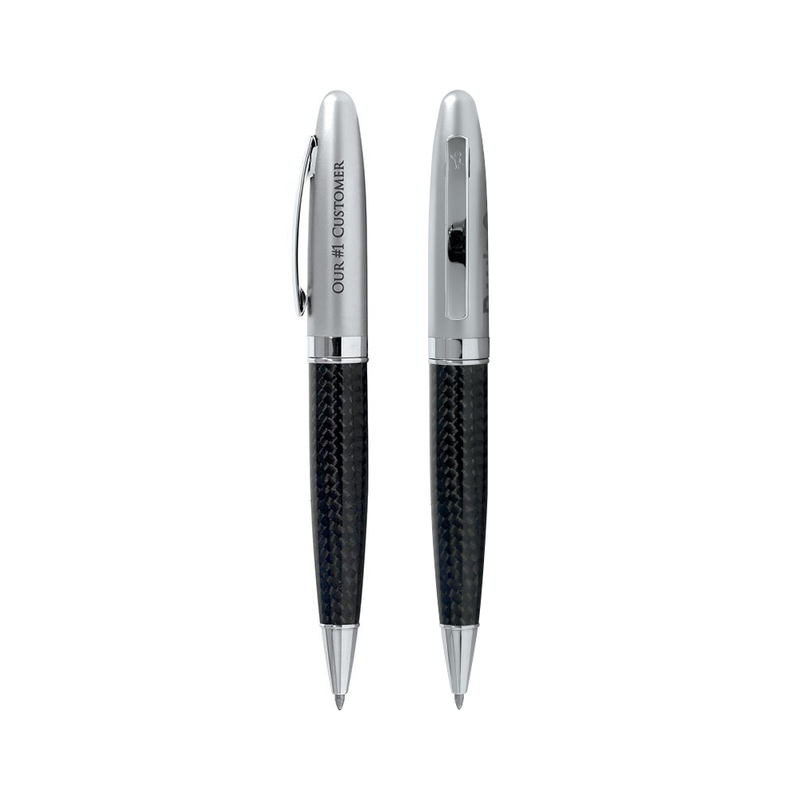 The Bic Carbon Fibre Twist is made with carbon fibre in a weave pattern with a chrome plated cap and accents. If you're after a pen that's a little different and draws attention this is the choice for you. They look stunning with a laser engraving decoration on the cap and are a gift idea that is guaranteed to draw attention.